So you want a talking picture? 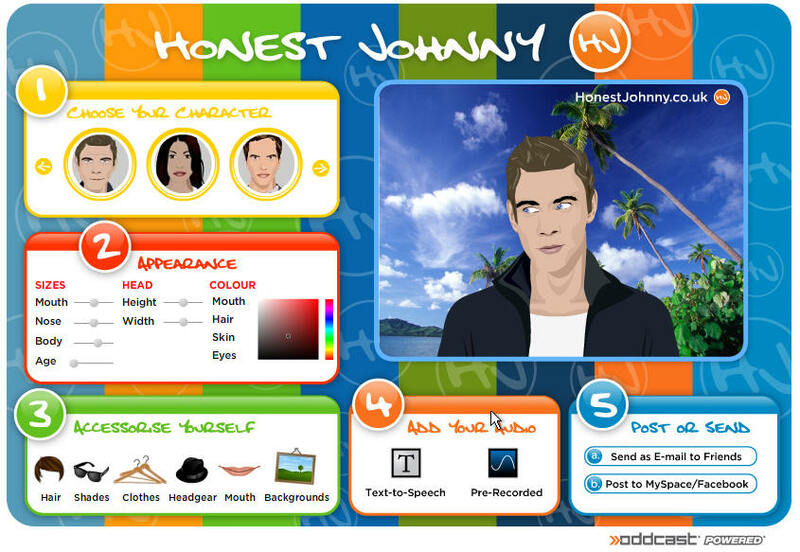 It's easy, thanks to http://www.honestjohnny.co.uk and a script I wrote today. Go through steps 1) Choose your character, 2) Appearance, 3) Accessorize Yourself, and 4) Add your Audio. You will be able to pick from over 100 avatar looks, choose your skin colors, change hair, clothes, headgear, and even choose your own background image. When you are done, email the link to yourself. The steps to load this into Second Life are very easy, you just make a prim and copy and paste what you need into it. The script does all the work. 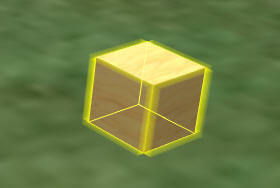 B) Click the ground again, and a box will appear. 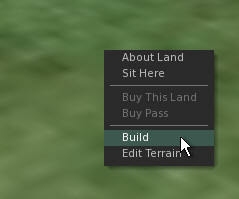 C) Select the Build window, and change the name to something more descriptive, such as 'Picture", as I have done. Open the email, click on the link and copy the URL from your web browser with Ctrl-C.
E) Click and double-click the 'New Script' that appears in the Content Tab. F) Paste the code from this script into the script window, and save it. Close the editor, and walk up to the picture! The picture will detect all approaching avatars. When they get within 10 meters of the picture, the picture will change from a static image and the picture will talk. You can change the default image by changing the string no_viewer2to the UUID of any image, you can set the range, and set the scan time to help control lag. 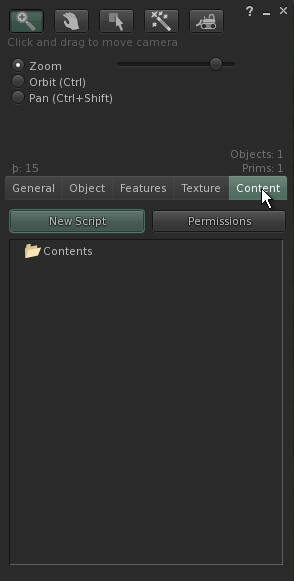 Please note that under the terms of this license, you must share this script OPEN SOURCE, with mod rights. You cannot sell this script or the objects derived from it. // See http://creativecommons.org/licenses/by-nc-sa/3.0/ for the license. float DISTANCE = 10.0;  // distance the picture will detect up an avatar, from 0.1 to 96.0.
float RATE = 3.0;       // seconds to scan for an avatar, lower numbers cause more lag but faster response.